Adams lived to be ninety years old. In his later life his reading turned towards novels including the then contemporary work of Sir Walter Scott, James Fenimore Cooper, and Scottish historical novelist Jane Porter. Adams' personal library numbered over three thousand volumes. "Your father's zeal for books will be one of the last desires which will quit him," Abigail Adams wrote to John Quincy Adams in 1816. Adams is the author of Thoughts on Government (1776), a much republished essay which influenced the content of the U.S. Constitution, and Discourses on Davila (1790), a series of papers of papers on political history. In 1802, Adams began writing an autobiography. He lived for another twenty-four years but never completed it. Adams is a noted diarist and letter writer. He exchanged over a thousand letters with Abigail Adams and another thousand with Thomas Jefferson. President Ulysses S. Grant graduated from West Point in 1843. In his Personal Memoirs Grant recalled -- "There is a fine library connected with the Academy from which cadets can get books to read in their quarters. I devoted more time to these than to books relating to the course of studies. Much of the time, I am sorry to say, was devoted to novels, but not to those of a trashy sort. I read all of Bulwer's then published, Cooper's, Marryat's, Scott's, Washington Irving's works, Lever's, and many others that I do not now remember." In 1881, Grant, humiliated by his failed 1880 bid to return to the White House after a four year gap (he did not even get the Republican Party nomination) was urged to write his memoirs by his friend Mark Twain. Grant resisted, claiming he wasn't interested in writing about himself and the public wasn't interested in reading about him. Two earlier Grant-related books -- Military History of Ulysses S. Grant, by Grant's wartime aide Adam Badeau, and Around the World with General Grant by journalist John Russell Young hadn't sold many copies. In 1884, suffering from throat cancer and left impoverished by bad Wall Street investments, Grant changed his mind and agreed to write his memoirs for C.L. Webster and Company, a publishing firm Twain had set up with his (Twain's) nephew in charge. Broke and dying Grant, supported by the generosity of friends, worked with astounding perseverance on his memoirs. He died in the summer of 1885, only a few days after reading the final proofs of his book. Published late in 1885, Personal Memoirs was praised for the clarity of its writing and its insight on warfare. Due in part to a vigorous pre-publication sales campaign aimed at Civil War veterans and to the news of Grant's death, Personal Memoirs sold briskly and earned $450,000 (several million in today's dollars) for Grant's widow Julia Dent Grant who lived until 1902. During her widowhood Julia Grant wrote her own book -- The Personal Memoirs of Julia Dent Grant -- which were not published until 1975. Julia Grant's memoirs are the earliest by a First Lady. John F. Kennedy was an Evelyn Wood program trained speed reader who claimed to be able to read 1,200 words per minute. That claim has been questioned but what's not questionable is that Kennedy was an avid reader, especially of history and biography. Among his favorites were anything by Winston Churchill, particularly Marlborough (1933-38), the British prime minister's four volume biography of his (Churchill's) illustrious soldier-statesman forebear; The Emergence of Lincoln (1950) by Allan Nevins; Pilgrim's Way (1940), an autobiography by Scottish politician, historian, and novelist John Buchan; and Byron in Italy (1951) by Peter Quennell. His favorite novels were the French classic The Red and the Black by Stendhal and the James Bond thriller From Russia with Love (1957) by Ian Fleming. Kennedy kept a small apartment in Boston throughout his political career. The dozens of books found on the shelves there are an eclectic group many of which, like the books found on anyone's shelves, he may or may not have actually read. They include Economics in One Lesson (1946) by Henry Hazlitt, Things Catholics are Asked About (1927) by Martin Scott; Off My Sea Chest (1947), a humorous account of World War II naval service, by Lewis H. Conarroe; What About the Airship? (1938), a treatise on the benefits of lighter than air aviation, by Charles Rosendahl; and the novel Of Lena Geyer (1936), about an opera diva stalked by a female fan, by Marcia Davenport. Kennedy's Harvard undergraduate senior thesis dealing with the reasons why Great Britain was slow to deal with the Nazi threat was published -- through the influence of Kennedy's father -- by Wilfred Funk, Inc. in 1940 as Why England Slept. The title references Winston Churchill's 1938 book on Britain's lack of preparedness While England Slept. Kennedy's most famous book, Profiles in Courage, a collection of short biographies of eight United States senators who risked their careers to do what they thought was right, won the Pulitzer Prize for biography in 1957. From the time of its publication rumors have surrounded the authorship of the book, the most common charge being that Kennedy speechwriter and aide Ted Sorenson is its real author. In his autobiography Counselor: A Life at the Edge of History (2008), Sorenson explains -- "JFK worked particularly hard and long on the first and last chapters, setting the tone and philosophy of the book. I did a first draft of most chapters, which he revised with a pen and through dictation...the book's concept was his, and the selection of stories was his...I never felt -- not for a moment -- that I was wrongfully denied a part of the credit, much less a share in the Pulitzer Prize." 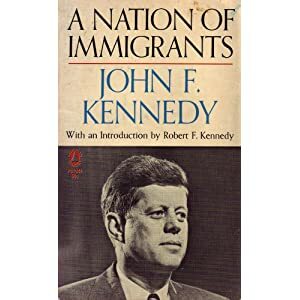 Less well known is A Nation of Immigrants, a history of immigration to America and an outline for immigration law reform, which Kennedy initially wrote as a pamphlet for the Anti-Deformation League in 1958 when he was a senator. A partially revised version was published posthumously in 1964 with an introduction by Robert F. Kennedy. In An Hour Before Daylight, his 2001 memoir of growing up in rural Georgia in the 1930s, Jimmy Carter recalls -- "One significant difference between my parents was their reading habits. Daddy mostly limited his reading to the daily and weekly newspapers and farm journals, but he also owned a small library, which I still have, that included Halliburton's Royal Road to Romance, a collection of A. Conan Doyle's Sherlock Holmes stories and a complete set of Edgar Rice Burroughs' Tarzan books...By contrast, my mother read constantly and encouraged us children to do the same. Since we stayed busy most of the time, Mama and I always had a magazine or book to read while eating our meals, and this became a lifetime habit for my own family and me. The only exception was Sunday dinner, which, for some reason, had too formal an atmosphere for literature at the table. At night, at suppertime, there was no such restraint." In his memoir Carter also mentions "reading War and Peace when I was in the fifth grade." In September 1976, Democratic Party presidential nominee Carter told Hugh Sidey of Time that "I keep three or four books going at a time" and that he had recently read Lyndon Johnson and the American Dream (1976) by Doris Kearns Goodwin, Precarious Security (1976), about national defense, by General Maxwell Taylor, and was "savoring" Justice and Mercy (1974), a collection of Protestant theologian Reinhold Niebuhr's sermons and other writings sent to him by Niebuhr's widow. 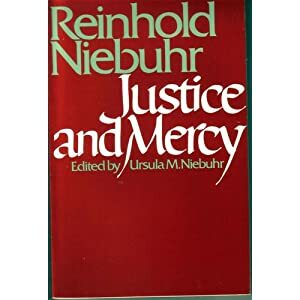 Sidey reported that the most important book in Carter's life is "of course, the Bible," that James Agee's Let Us Now Praise Famous Men (1941) had "a profound impact" on Carter, and Reinhold Niebuhr on Politics (1960) was important in developing Carter's "attitude toward public life." Sidey quotes Carter as saying that he has read Bertrand Russell's A History of Western Philosophy (1945) "three or four times," and adds that Carter's favorite poet is Dylan Thomas and his favorite book on the presidency is The Presidential Character (1972) by historian James David Barber. Carter is perhaps the most prolific of American Presidents with almost thirty books on a variety of subjects so far to his credit including The Blood of Abraham (1986), about the politics of the Middle East, Living Faith (1998), about the role of religious faith his life and lives of others, and Our Endangered Values (2005), a defense of the separation of church and state. 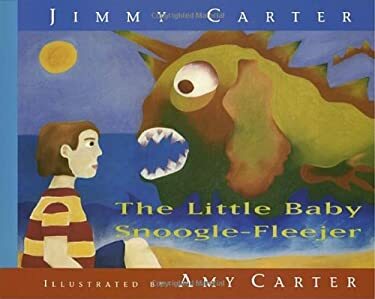 He has also written a novel, The Hornet's Nest (2004), about the South in the Revolutionary War, a children's book The Little Baby Snoogle-Fleeger (1995), and a collection of poetry, Always a Reckoning (1994). Barack Obama is more partial to fiction than other recent presidents. In October 2012, Michael Lewis in Vanity Fair reported that the desk in Obama's private study is "piled high with novels -- on top is Julian Barnes's The Sense of an Ending." According to Slate three of the five books Obama brought along for summer vacation reading in 2009, the first year of his presidency, were novels -- Plainsong (1999), interlocking stories of life in small town Colorado, by Kent Haruf, The Way Home (2009), a story of crime and social class distinctions in present day Washington, DC, by George Pelecanos, and Lush Life (2008), about life in contemporary Lower East Side of Manhattan, by Richard Price. Obama supplements his book supply while on vacation. At his favorite vacation spot, Martha's Vineyard, he likes to visit Bunch of Grapes bookstore. In 2010, Bunch of Grapes gave Obama an advance copy of Jonathan Franzen's not yet published novel Freedom and in 2011 Obama purchased The Bayou Trilogy by Daniel Woodrell and Rodin's Debutante by Ward Just at Bunch of Grapes. In his memoir Dreams from My Father (1995), Obama recalls that when confronted with racism as a teenager "I gathered up books from the library -- Baldwin, Ellison, Hughes, Wright, DuBois. At night I would close the door to my room, telling my grandparents I had homework to do, and there I would sit and wrestle with word, locked in suddenly desperate argument, trying to reconcile the world as I'd found it with the terms of my birth. But there was no escape to be had...Only Malcolm X's autobiography seemed to offer something different. His repeated acts of self-creation spoke to me." In his introduction to Dreams from My Father Obama explains how the book was supposed to be a series of essays on the "current state of race relations" but "when I actually sat down and began to write, though, I found my mind pulled toward rockier shores. First longings leapt up to brush my heart. Distant voices appeared, and ebbed, and then appeared again...I listened to my grandmother, sitting under a mango tree as she braided my sister's hair, describing the father I had never truly known." 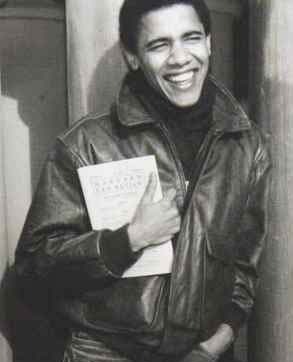 Barack Obama's 1990 election as the first African-American president of Harvard Law Review resulted in Obama receiving offers from agents to put together a book deal. According to Peter Osnos in The Daily Beast, Obama received an advance of more than $100,000 from Simon and Schuster. That company ultimately rejected as "too long and too late" the manuscript Obama finally submitted. 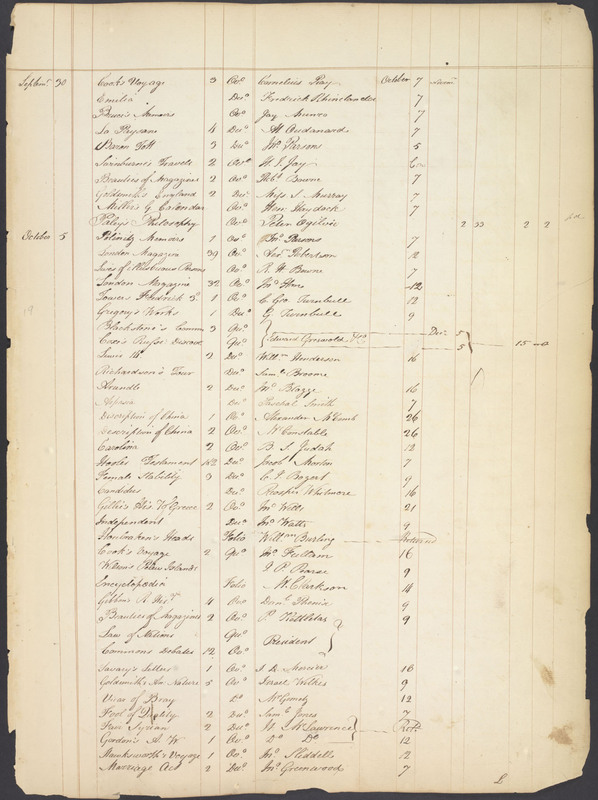 The manuscript was picked up by Times Books, headed by Osnos, and was edited by Henry Ferris, who, according to Osnos, did some cutting of early sections and made some suggestions, "most of which Obama accepted." 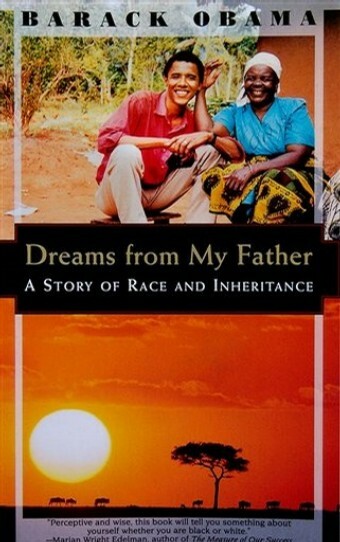 Published in 1995, Dreams from My Father was reviewed in a few high profile publications but did not sell many copies. After Obama's speech at the 2004 Democratic convention Dreams was reissued by Crown Books which had inherited the catalog of the defunct Times Books. "Following his election to the Senate," Osnos writes "Obama signed a lucrative new contract with Crown and wrote The Audacity of Hope, his political manifesto...Obama got $40,000 from Times Books for that first contract and, according to his 2007 tax returns, made over $4 million in royalties." John Adams Library (at the Boston Public Library). John F. Kennedy Presidential Library and Museum (Boston).